The Colombian automotive sector is highly skewed towards the production of motorcycles. As motorcycles are the preferred mode of transport of the population, the country has emerged as the second-largest producer of two-wheel motor vehicles in South America, after Brazil. As to four-wheel vehicles, although Colombia is the third most populous country in the region with 49.3mn inhabitants at end-2017, both the scale of the production base and the size of the domestic market remain small. This is explained by the relatively low disposable income of the population compared to the regional average, which limits purchases of large durable goods, such as motor vehicles. The domestic automotive industry also features low levels of internationalisation, which makes it vulnerable to the ups and downs of the national economy. However, the industry is not able to meet local demand and Colombia’s dependence on imported motor vehicles and auto parts is extremely high. 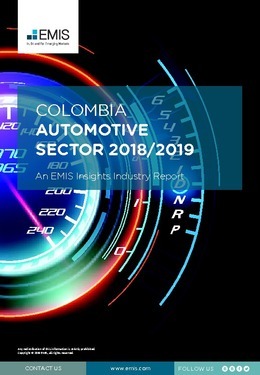 This report provides a complete and detailed analysis of the automotive sector for Colombia. EMIS Insights presents in-depth business intelligence in a standard format across countries and regions, providing a balanced mix between analysis and data.